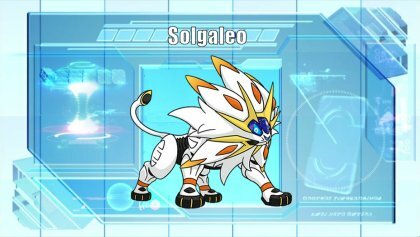 Solgaleo, The Sunne Pokémon. It is said to live in another world. The intense light it radiates from the surface of its body can make the darkest of nights light up like midday. This Pokémon is said to be a male evolution of Cosmog. At the activation of its third eye, it departs for another world. 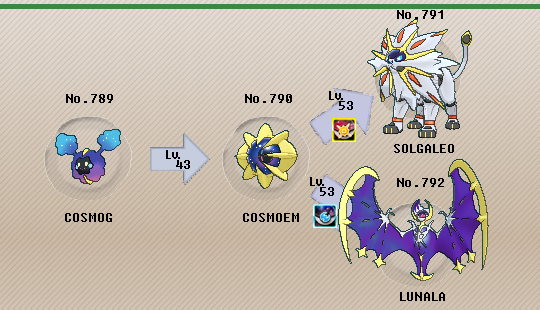 Solgaleo brings some interesting things to Ubers, namely beating Xerneas and handling Deoxys. This makes it a strong offensive wall, sponging hits and spreading damage or status. 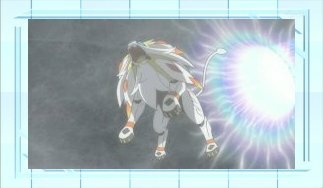 However, Solgaleo lacks the strength to be a wall breaker and its typing holds it back, but it still is a strong threat in the tier. More agressive, Solgaleo acts as a bulky attacker here, checking threats namely Xerneas and applies pressure. Sunsteel Strike is the primary move and only STAB while Toxic cripples Arceus forms that switch in on Solgaleo. Flare Blitz, Earthquake, and Stone Edge all earn the last slot based on your team. Stone Edge hurts Ho-Oh a lot, deterring the switch in as well as hits Mega Salamence and Rayquaza hard, while Earthquake really hurts Primal Groudon who otherwise doesn't care about Solgaleo’s other moves. Lastly Flare Blitz hits other Steel threats hard that also don't care about Solgaleo’s other moves. Solgaleo could have been a useful legendary back in VGC 2016 as another threat against Geomancy Xerneas. Its strong physical steel attack and an immunity to Intimidate greatly threaten the deer, and Solgaleo can give Mega Rayquaza and Mega Salamence trouble if they do not carry a fire-type attack. As we saw with Mega Metagross, however, Primal Groudon and Yveltal would be troublesome for Sun’s box legendary. Another format like VGC16 may not return for a few years (if ever), but Solgaleo gives trainers another option in team-building in any formats that do allow it and other powerful legends. A basic Solgaleo set is going to want max attack and speed to hit as hard as possible while also outspeeding as many of the other box legends. Jolly nature guarantees you outspeed the Primals and non-mega Rayquaza, but Adamant deals more damage and may be preferable if you are using some form of speed control. Life Orb boosts the damage output, guaranteeing an OHKO on all but the absolute most bulky Xerneas. Full Metal Body is great to ignore Intimidate, and being immune to speed drops from Icy Wind or Bulldoze is also helpful. Sunsteel Strike is Solgaleo’s strongest attack, threatening fairy types like Xerneas and Tapu Lele and doing neutral damage to many other Pokemon. Zen Headbutt is strong secondary STAB, but would have had limited use is VGC 2016. Wild Charge is an option to hit Primal Kyogre and Yveltal hard. Flare Blitz hits Pokemon like Ferrothorn, Bronzong, and Scizor for super-effective damage. Protect is arguably the best move in doubles. -Steelium Z is an option for a one-time nuke, but it will soon be outclassed by Solgaleo’s signature Z crystal and move, Searing Sunraze Smash. -Other Z moves can be considered. The psychic one gets a mention simply because it is a STAB attack (and can be boosted by a terrain). The electric one can threaten an OHKO on Primal Kyogre, while Tectonic Rage can take a massive chunk out of Primal Groudon. -Shuca Berry can weaken Primal Groudon’s Precipice Blades or Earth Power, and Air Balloon can make Solgaleo immune to those moves until it is popped. Sitrus or 50% pinch berries can be used on bulkier or Trick Room sets. -Earthquake and Rock Slide are spread options, while Stone Edge provides more single-target damage than Rock Slide. -Wide Guard might be one of the most underrated options, as Solgaleo can block any spread moves aimed at the team, which were very common in 2016. -Substitute can help in dodging Sucker Punch from Yveltal. Roar can deny Trick Room or ruin Xerneas’ boosts. Bulldoze, Rock Tomb, and Thunder Wave all provide different forms of speed control. Snarl can be used on defensive sets to lower the opponents’ special attack. -Trick Room can turn the tables on faster opponents and allow you to invest more in bulk. -Psych Up can copy boosts from your opponent’s setup. -Tapu Lele’s terrain boosts psychic moves and protects Solgaleo from priority moves like Fake Out, Sucker Punch, and Prankster moves. -Fini’s terrain protects from statuses, especially burns. -A Primal Groudon counter is helpful for Solgaleo. 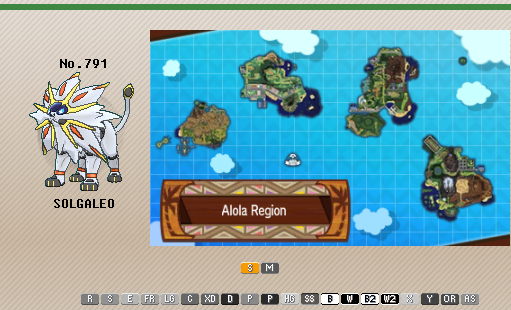 Primal Kyogre, Rayquaza with Waterfall, or even other Groudon can assist. -Primal Kyogre can also eliminate Solgaleo’s fire weakness with its weather. -Tapu Koko’s terrain boosts Wild Charge and can help deal with Yveltal, though this combo is very weak to Primal Groudon. -Like the Metagross and Salamence combination we talked about a few weeks ago, Solgaleo holding a Weakness Policy can be very powerful next to a Bulldoze user. Opponents on the ground will have their speed lowered, while Solgaleo will not thanks to its ability, and receive double the attack with the Weakness Policy. Mega Gengar - Mega Gengar easily beats Solgaleo, revenge trapping it with Shadow Tag and KOing with Hex.